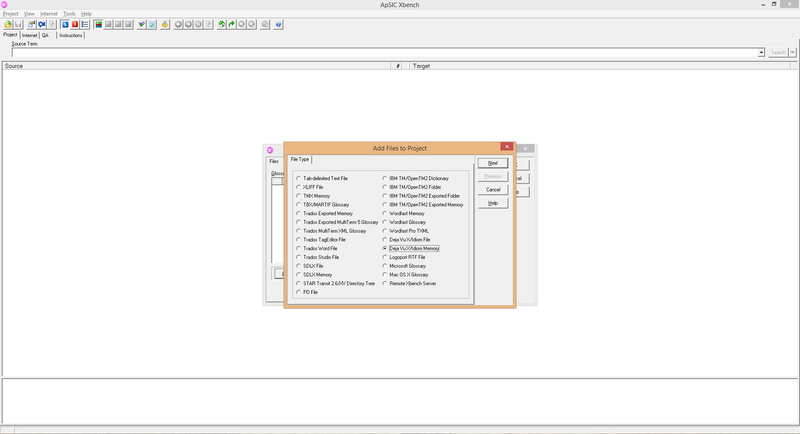 Home / Posts tagged "Technical tips"
It might not be a surprise for frequent visitors of my blog: I’m an avid user of Trados Studio 2014 – not because it’s the best but because it works so easy. Especially the option to open a document without creating a whole project is great. I’m using that feature a couple of times a day and it really speeds up my work. 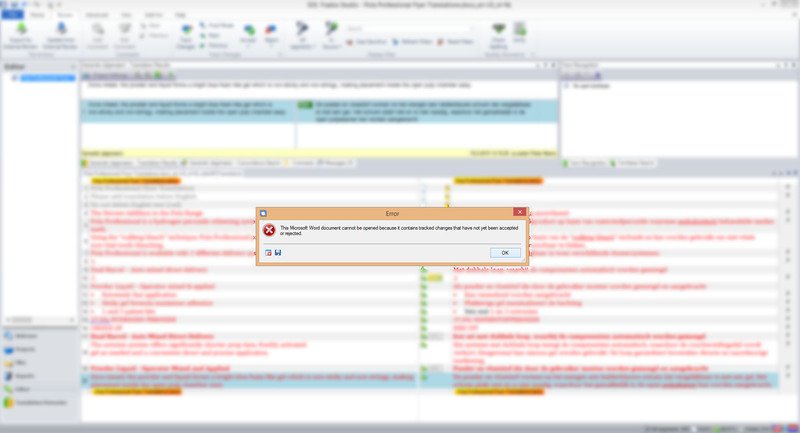 But last week I had to open a large document in Trados Studio 2014 and that resulted in an annoying error. Here’s a workaround. In my daily life I am an avid user of Trados Studio 2014. In my humble opinion it is not the very best CAT tool ever made, but it is quite easy to work with. 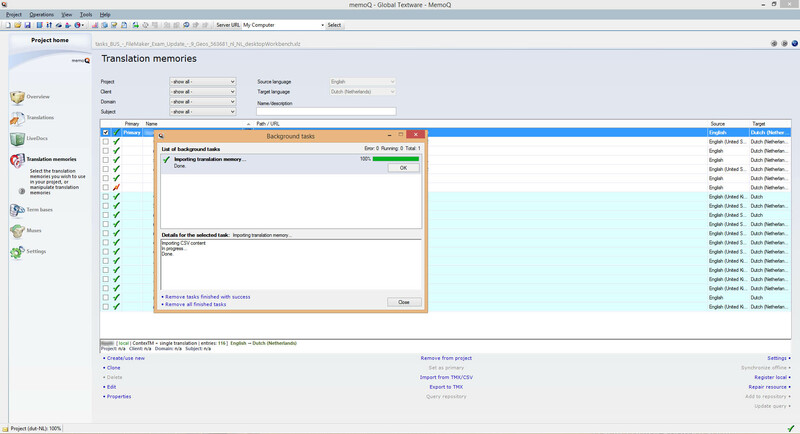 For more advanced tasks I use MemoQ, which I love for it’s intelligence but hate for it’s bold interface. But when I use it, I like it. 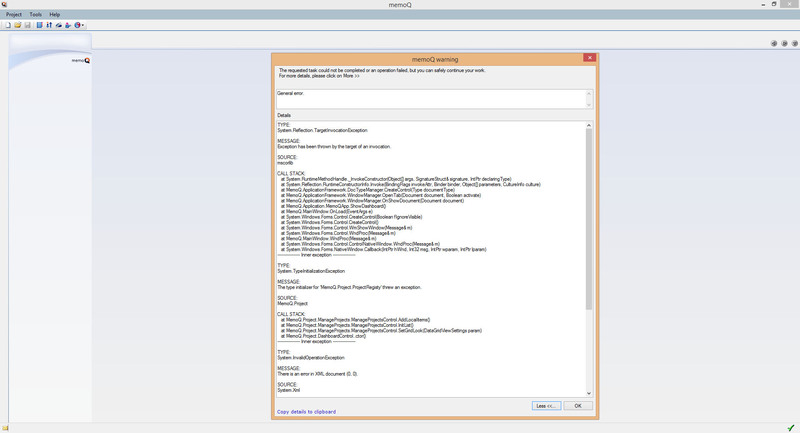 Until last week: I got a MemoQ mscorlib error which rendered the translation software useless at all. None of my installed versions, MemoQ 2013 R2, MemoQ 6.2 and MemoQ 2014 (what I love is that Kilgray unlike SDL allows to install different versions) did work any longer.